- The precious metal has amassed 20 percent in the last six months. - Next six months may not prove so fruitful. - Technical indicators tell of lingering bearishness. Precious metal gold has staged a remarkable comeback since December when it hit its nadir of $1,045. During the following five months, the rally extended more than 20 percent to head north of $1,300 albeit for a brief period. At the time of writing this analysis, Gold futures are trading at $1,247. There are a couple of factors which convince me that the favorite investment during times of crisis is set to head significantly lower in the next 3-4 months. I have a downside target of $1,100. First, let me put down the obvious ones. The U.S. Dollar has been fluctuating wildly as uncertainty grows over the fate of the interest rate hikes. With poor May jobs report, traders have [almost] completely ruled out a June hike, with most expecting the first hike in September, three months from now. This is not to suggest that I am trying to time the market, instead, it motivates me to remain cautious. Another reason why gold, in my opinion, has been rising is because the investors see more risk in the stocks, so they are parking their funds in Aurum in order to hedge against the losses. Add the Brexit uncertainty to the mix, and things turn highly favorable for gold. Strong demand from importing nations such as India and China is also keeping gold afloat. $1,050 proved highly irresistible, and looks like a strong medium-term support for the metal. Global economic growth is faltering, to say the least. The monetary policies by the global central banks are failing at bringing economies back on the growth track, so diversifying into gold makes good investing sense. But even with all these supportive factors, I feel that the precious metal might not add any significant gains from here on. Instead, gold is expected to lose sheen and tumble down to $1,100. I am of the opinion that the Fed will raise rates at least twice this year, with the first one in July. As of now, the markets appear convinced that the era of low-rates will stay for longer, and therefore, gold remains buoyed. My bearish stance is further substantiated by the current technical picture. The commodity is in the process of forming a bearish technical pattern called as the Head & Shoulders. The weekly gold futures price chart below clearly tells that $1,200 is the immediate floor i.e. the neckline of the pattern. A decisive breach of this neckline would accelerate losses, and we will see $1,100. I have used three technical indicators for a stronger approval of my thesis. Moving Average Convergence Divergence - This indicator states that the Histogram had already peaked out in February, and has been declining since then to dive into the negative territory. The MACD has crossed below the Signal Line - a bearish crossover - and warns investors of the coming decline. Momentum - The Momentum indicator is a simple yet effective indicator. A reading above 0 suggests that bulls still have the game in their hands. Unfortunately for gold, the reading peaked out in March, and has dropped below 0 twice since April. The strong downtrend in Momentum suggests that the underlying support is weakening. Money Flow Index - One of my favorite indicators, Money Flow Index is showing a strong divergence from the current price action. It hit its top when gold was trading at $1,287 and failed to register another high even when the price surpassed $1,300. Shockingly, the indicator has dropped below its previous bottom of 62, and is now at 53.2634. The fact that the MFI is consistently declining even in the face of rising prices is enough to convince me that now is the best time to go cautious. 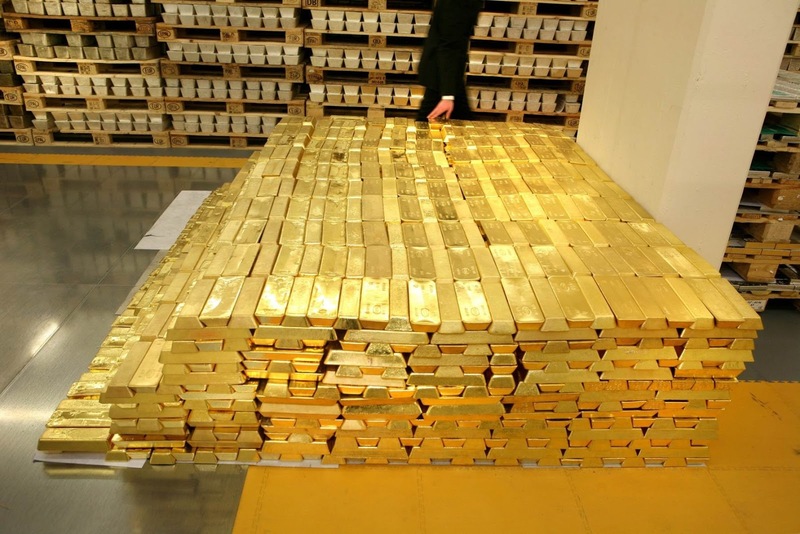 Investors who are aggressively long on gold should reduce their exposure to a small amount. This is what the charts are telling, and this is what I advise. But it would not be honest to not present a counter view to my thesis. In case my analysis goes wrong, the upside potential is capped at $1,400, which is roughly 12 percent higher from the present level.